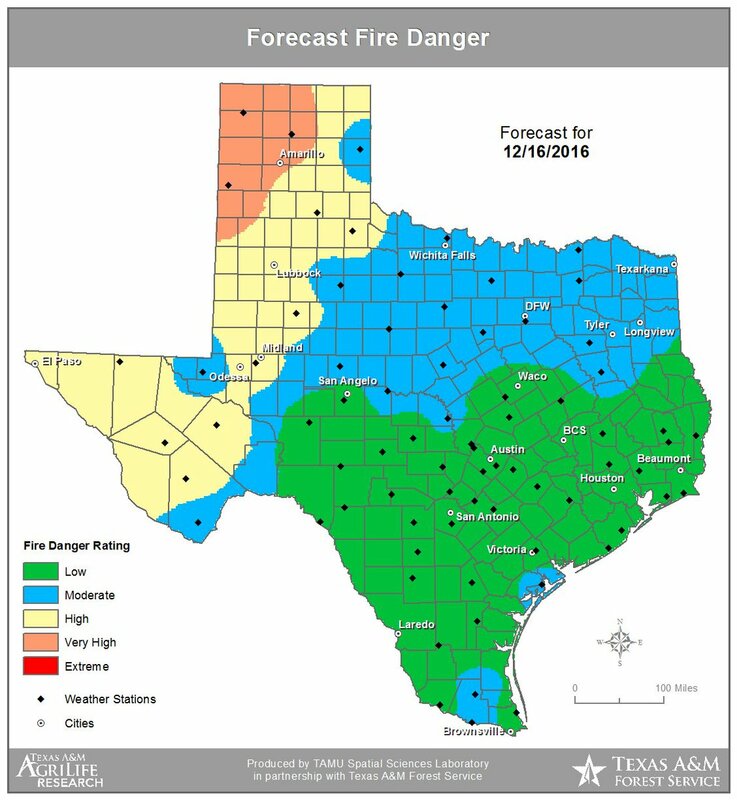 The State of Texas has been reporting high to extreme high fire danger in the Panhandle and Western Texas for several days. Here is a look at the forecast on December 16, 2016. The Carson 1059 Fire started on December 16th around 1255 CST (1055 PST) from an unknown cause. Currently, 4,000 acres have been consumed but Texas A&M Forest Service crews have reached a 65% containment status. The fire is located near small Skellytown (population 462) and State Highway 152 in the Panhandle in Carson County, Texas. No structures are said to be threatened at this time. The Green Baca Fire is located in Oldham County, Texas. The fire started December 16th at 1610 CST from an unknown cause. Texas A&M Forest Service firefighters were dispatched as mutual aid resources for this fire. No number of personnel are known at this time, nor are have their been any injuries reported. 2,000 acres scorched with a 10% containment status. The 1260 Fire started December 16th around 1515 CST from an unknown cause. 1200 acres and 75% containment status has been reached.